That’s the prediction of Fred O’Connor of InfoWorld for the following 11 months. The IT sector has been a vibrant scene in the recent years, and with cloud technology becoming more and more prevalent, it is but logical to assume that more job openings in the niche will crop up. While cloud computing has a lot of personal applications – iOS users alone will attest to its convenience – businesses are also quickly adopting its use. For people in the IT sector, it is important to pay attention to developments in cloud computing, especially if you are interested in snatching a related job. But what exactly are the cloud tech job descriptions? It is a relatively new field, to be sure, and as with new things, there are a lot of details to be laid out. Joe McKendrick of ZDNet has published a very useful piece for both IT professionals and organizations who want to lay out cloud tech job descriptions in 2013. Emerging roles they may be, the chances are that this niche will only gain strength this year. Why not be one of the first in the game? Those terms may seem very much related, but the descriptions show the distinctions. Of course, with the niche being new, the roles will probably evolve over time, not to mention new roles being created. 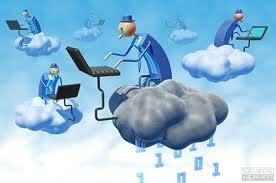 What do you think of these cloud tech job descriptions? Are they accurate enough at this point? Do you have experience that point to other job descriptions?